Hawaiian flower lei, aloha lei. 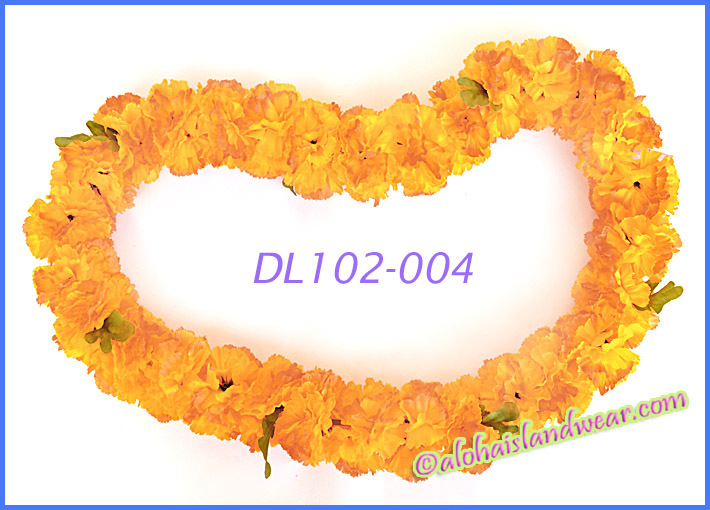 This Hawaiian tropical lei is strung with silk tropical carnation flowers, Hawaiian leis are symbolize for greeting 'ALOHA" and Love. Hawaiian leis can be worn in Hawaiian beach wedding, graduation celebration, person on birthday, retirement or as a gift when greeting people in Hawaii.